Not sure whether to DIY your home security with affordable SimpliSafe or go pro with security veteran ADT? SafeWise has broken down the pros and cons of each company to help you make the best decision for you and your home. Some people want a home security system that’s one and done: buy an alarm system, install it yourself, pay a monthly fee for monitoring, and call it good. Others are looking for more bells and whistles, with home automation, indoor and outdoor cameras, and potential for growth. If you fit either of these categories—or you’re somewhere in between—you’ve probably considered security companies like ADT and SimpliSafe. Both offer the same basic features of home security: a base station, door and window sensors, motion sensors, and monthly monitoring—but one is very much DIY click-and-buy while the other requires professional installation and lengthy contracts. So what’s the difference? We decided to put SimpliSafe and ADT to the test in a side-by-side comparison to see where these companies overlap and where they differ so you can decide which one is right for you. What Do SimpliSafe and ADT Have in Common? How Are SimpliSafe and ADT Different? SimpliSafe offers wireless equipment at an affordable price for the DIYer. There are no contracts, so you’ll have to pay for your equipment up front, but you can use the Build My System tool to purchase only the items you need for your home. Expect to pay around $230 for a basic starter kit. The devices are sleek and streamlined, but SimpliSafe’s selection is limited—it currently doesn’t offer an outdoor security camera, video doorbell, or automated door lock. Because the system isn’t compatible with many other third-party devices, you’ll have to wait on SimpliSafe to catch up if you want a fully automated home system. We’re pleased to see that the latest version of the SimpliSafe system incorporates encryption technology to make it more secure than previous models, but most long-time SimpliSafe customers weren’t thrilled to discover that their old system isn’t compatible with the recent upgrades. Keep in mind that SimpliSafe could do something similar in the future, leaving you with an obsolete system. We also learned that you could easily disable a SimpliSafe system by removing the batteries, so we’d recommend keeping the base unit out of sight. Professional monitoring is completely optional with SimpliSafe. You can choose to monitor your home by yourself if you want to. If you do opt for professional monitoring, it starts at $14.99 a month. An additional $10 will get you Interactive Monitoring, which gives you access to the SimpliSafe app. You can use the app to arm and disarm your system and monitor video cameras from your phone. You can cancel your monitoring service at any time with no penalty. Read our full SimpliSafe home security review. When it comes to experience, ADT is one of the top players in the security field, but along with its history comes baggage in the form of old-school contracts. 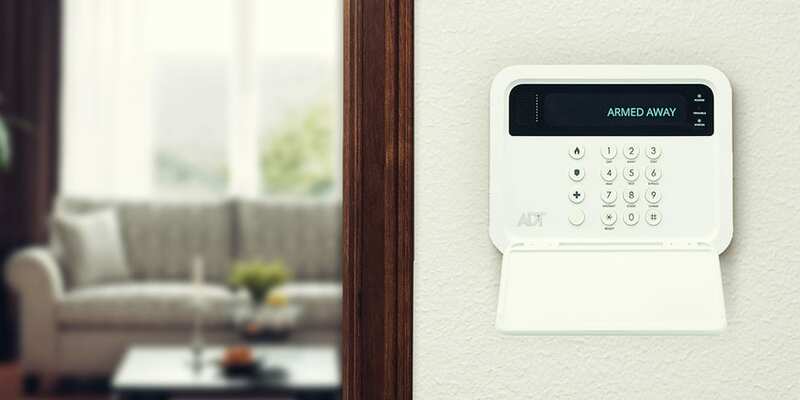 You’ll have to sign a minimum three-year contract for any ADT system, with monthly monitoring starting at $27.99 a month. While your only up-front cost for a system is the $99 installation fee, keep in mind that app control, carbon monoxide monitoring, and smoke monitoring can raise your monthly payments even higher. A six-month money-back guarantee means you can cancel for a full refund within six months of installation if ADT can’t resolve any issues you have with the system. But if you want to cancel after six months you’ll owe a hefty 75% of your remaining contract fees. Because ADT has been around for so long, it’s on track with trending technology and continues to stay ahead of the curve. Its ADT Pulse® devices are compatible with Z-Wave, Amazon Alexa, Google Home, and Nest so you’ll have a variety of third-party options to build your home automation. Read our full ADT home security review. We love SimpliSafe’s truly simple approach when it comes to home security and pricing. But with such limited equipment and compatibility options, we worry that its systems might be a little too simple for some customers. ADT offers better customer service and more integrated systems, but those perks definitely come with a higher price tag and a longer commitment. Price and Contract: SimpliSafe wins the day when it comes to low prices and freedom from contracts. You will have to foot the bill for your equipment up front, but it’s pretty affordable. Customer Service: With 24/7 customer service and a longstanding reputation, ADT wins the customer service battle between these two companies. Features: Both ADT and SimpliSafe have devices with similar features, but for the moment ADT does offer more flexibility and home integration than SimpliSafe, so we’ll give this one to ADT. 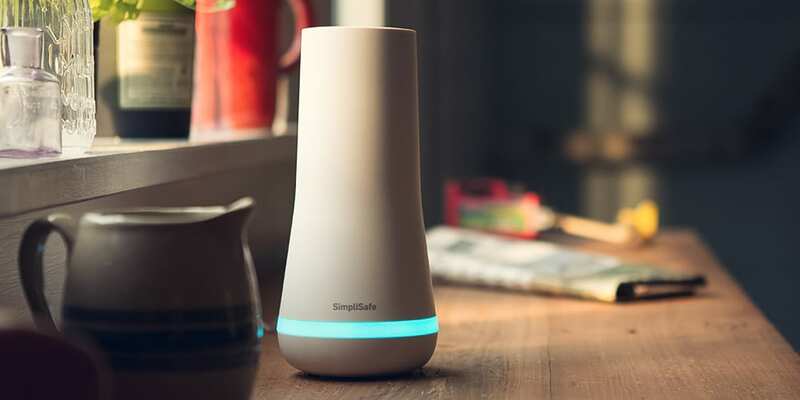 Despite the many good features (and the attractive price) of SimpliSafe, we worry that it's too much of a newcomer on the market to make it a solid recommendation for your home security. ADT is a tested, tried-and-true brand that offers reliability, solid customer service, and a much wider array of home automation options for your family. ADT systems are compatible with other devices, and ADT is constantly working to upgrade its systems, so you can stay on top of the latest security technology. Want to see how SimpliSafe and ADT stack up against other leading companies, like Frontpoint Security or Vivint? Check out our guide to the Best Home Security Systems.